By morning it might be all over but the shouting. The Hammond Ranch ordeal will be well in the making and at this time who knows if cooler heads will prevail. The line in the sand has been drawn and unlike the line President Obama made with Syria, this line is likely to be crossed and lethal action taken. It makes me wonder if indeed Ranchers’ Lives Matter. I have attached below a fact and event sheet prepared by Ammon Bundy with historical context of the Hammond case at hand. The events seem familiar to those of us who have witnessed the long arm of unelected aggressors in the BLM, Fish and Wildlife Services and Forest Service. One by one loggers and miners have been wiped from the scenery, now it’s the ranchers turn. It won’t be long until the final days of western lifestyles are lost to the pages of history (a history that will surely be rewritten in the context of the preservation agenda). It is sad to me most of America will wake to news for which they have no context to understand. The theme will be “Arsonist set ablaze America’s national heritage in attempt to hide a deer herd poaching”. You must look hard to find information about the events that have led up to this standoff in Harney County, Oregon. Better look to foreign media sources in this land of the “free press” to wade through the too familiar spin cycle. The accused are “terrorists” in the eyes of the melon heads that flip through television news channels becoming collectively more misinformed by the minute. The Hammonds will pay dearly for what ranchers have done routinely in these days of modern range management. The feds will feast upon the spoiling carcasses of ranchers and ranchlands past leaving a legacy of destruction on the open range more daunting than mountain lions or wolves could ever muster. Please watch the video link below. 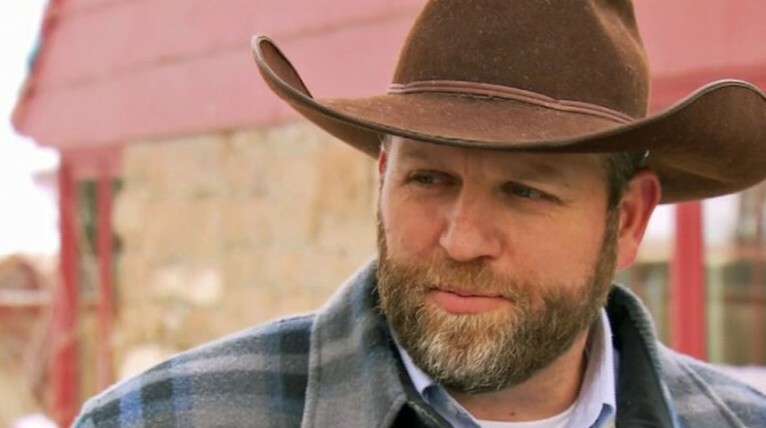 It is Ammon Bundy’s last appeal for help. Pray if that’s what you do that no blood be shed. Pray there is justice, even if they are just ranchers. (aa) The Harney Basin (where the Hammond ranch is established) was settled in the 1870’s. The valley was settled by multiple ranchers and was known to have run over 300,000 head of cattle. These ranchers developed a state of the art irrigated system to water the meadows, and it soon became a favorite stopping place for migrating birds on their annual trek north. (ab) In 1908 President Theodor Roosevelt, in a political scheme, created an “Indian reservation” around the Malheur, Mud & Harney Lakes and declared it “as a preserve and breeding ground for native birds”. Later this “Indian reservation” (without Indians) became the Malheur National Wildlife Refuge. (a2) During the 1970’s the Fish and Wildlife Service (FWS), in conjunction with the Bureau of Land Management (BLM), took a different approach to get the ranchers to sell. Ranchers were told that, “grazing was detrimental to wildlife and must be reduced”, 32 out of 53 permits were revoked and many ranchers were forced to leave. Grazing fees were raised significantly for those who were allowed to remain. Refuge personnel took over the irrigation system claiming it as their own. (a3) By 1980 a conflict was well on its way over water allocations on the adjacent privately owned Silvies Plain. The FWS wanted to acquire the ranch lands on the Silvies Plain to add to their already vast holdings. Refuge personnel intentionally diverted the water to bypassing the vast meadowlands, directing the water into the rising Malheur Lakes. Within a few short years the surface area of the lakes doubled. Thirty-one ranches on the Silvies plains were flooded. Homes, corrals, barns and graze-land were washed away and destroyed. The ranchers that once fought to keep the FWS from taking their land, now broke and destroyed, begged the FWS to acquire their useless ranches. In 1989 the waters began to recede and now the once thriving privately owned Silvies plains are a proud part of the Malheur National Wildlife Refuge claimed by the FWS. (m) In September 2006, Dwight & Susan Hammond’s home was raided. The agents informed the Hammonds that they were looking for evidence that would connect them to the fires. The Hammonds later found out that a boot print and a tire tracks were found near one of the many fires. No matching boots or tires were found in the Hammonds home or on their property. Susan Hammond (Wife) later said; “I have never felt so violated in my life. We are ranchers not criminals”. Steven Hammond openly maintains his testimony that he started the backfire to save the winter grass from being destroyed and that the backfire ended up working so well it put out the fire entirely altogether. (p) Judge Michael Hogan & Frank Papagni tampered with the jury many times throughout the proceedings, including during the selection process. Hogan & Papagni only allowed people on the jury who did not understand the customs and culture of the ranchers or how the land is used and cared for in the Diamond Valley. All of the jurors had to drive back and forth to Pendleton every day. Some drove more than two hours each way. By day 8 they were exhausted and expressed desires to be home. On the final day, Judge Hogan kept pushing them to make a verdict. Several times during deliberation, Judge Hogan pushed them to make a decision. Judge Hogan also would not allow the jury to hear what punishment could be imposed upon an individual that has convicted as a terrorist under the 1996 act. The jury, not understanding the customs and cultures of the area, influenced by the prosecutors for 6 straight days, very exhausted, pushed for a verdict by the judge, unaware of the ramification of convicting someone as a terrorist, made a verdict and went home. k* Being convicted as Terrorist made the Hammonds felons. They have been stripped of their right to have guns. The Hammond live 53 miles from the closets town and have no practical way of defending themselves or their cattle. Several times they have watched baby calves be eaten by predators and could do nothing to prevent it. The solution is very simple, the land and resources must be made available to its rightful owners, the people. 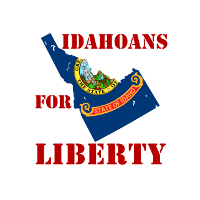 This can be done peacefully if the states & counties would check and balance the federal government as designed. When this happens, the people will begin to prosper and much of the economic, political and social problem of the west will diminish. Prosperity, peace and tranquility will be the results.